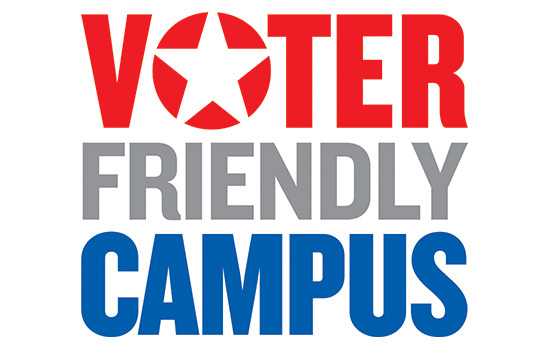 Rochester Institute of Technology has been named a “Voter Friendly Campus” for its ROAR the Vote effort to encourage students to register and vote in the 2016 general election and in coming years. The designation was given by the national nonpartisan organizations Campus Vote Project and Student Affairs Administrators in Higher Education, which selected 83 campuses in 23 states to bolster efforts that help students overcome barriers to participate in the political process. One of RIT’s initiatives included the ROAR the Vote website, with students and administrators talking about the importance of voting. The organizations say they were proud to work with RIT “as you set goals in your statement of interest, formed a committee, drafted an action plan, executed that plan and evaluated your efforts and set new goals for the future.